Building Blocks are one of the core concepts in TOGAF. Although the ideas behind Building Blocks are quite simple, the practice of using them is not so clear. This is the first in a set of three posters that explain the practicalities of using Building Blocks. 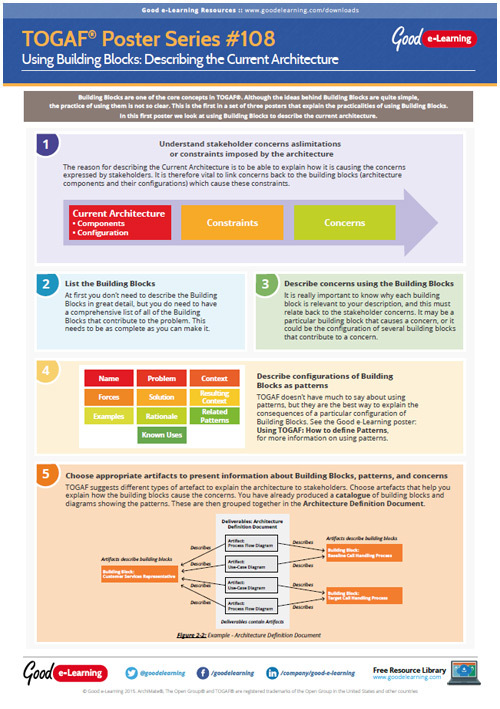 In this first poster we look at using Building Blocks to describe the current architecture.